It's that time again: Halloween Bingo! This is the second year I will be participating, and hopefully this time I won't get bogged down in reader's block. 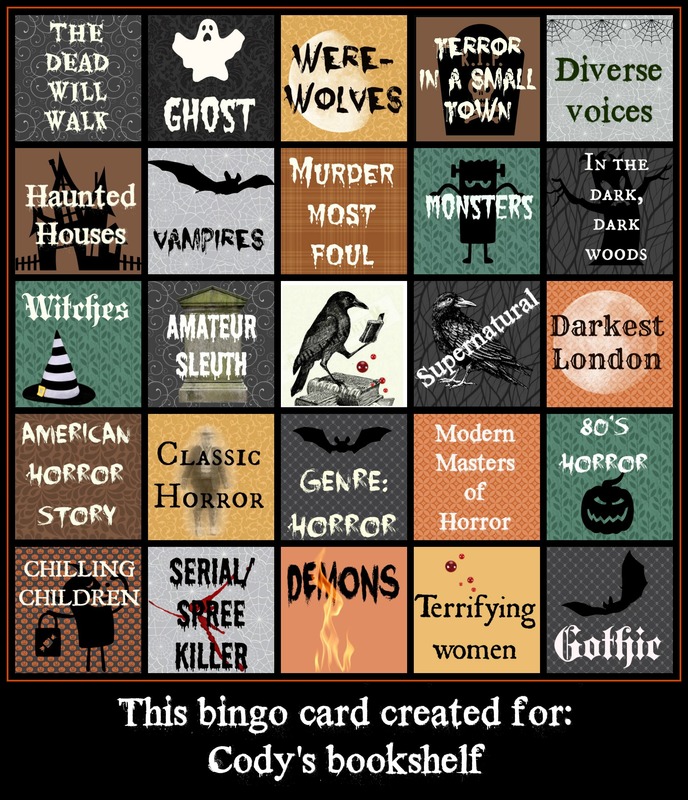 Below is my custom Halloween Bingo card (thanks, Moonlight Reader! ), and my novel choices. At the moment this is a working list; things could certainly change depending on my mood . . . I tend to be pretty indecisive in regards to my TBR.